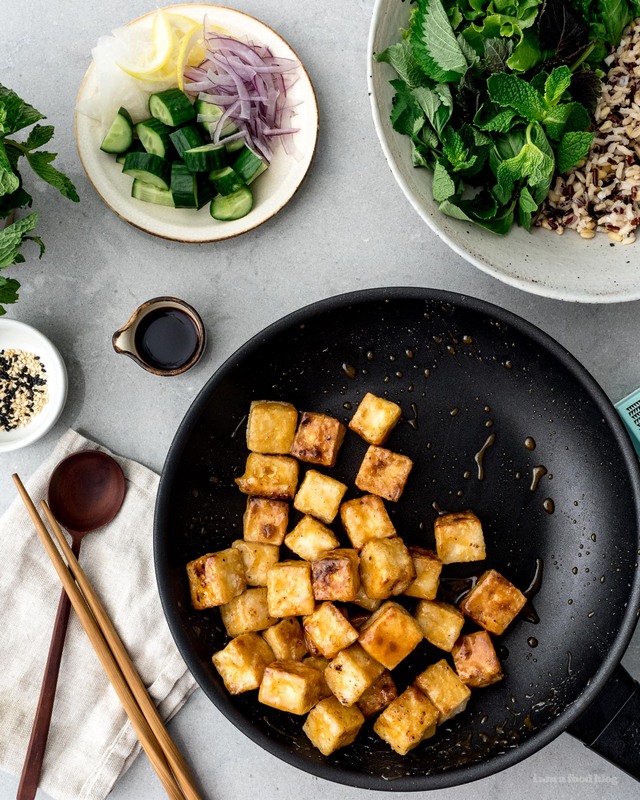 10 healthy-ish recipes for January: noodles, tofu, roasted squash, and more. 1. 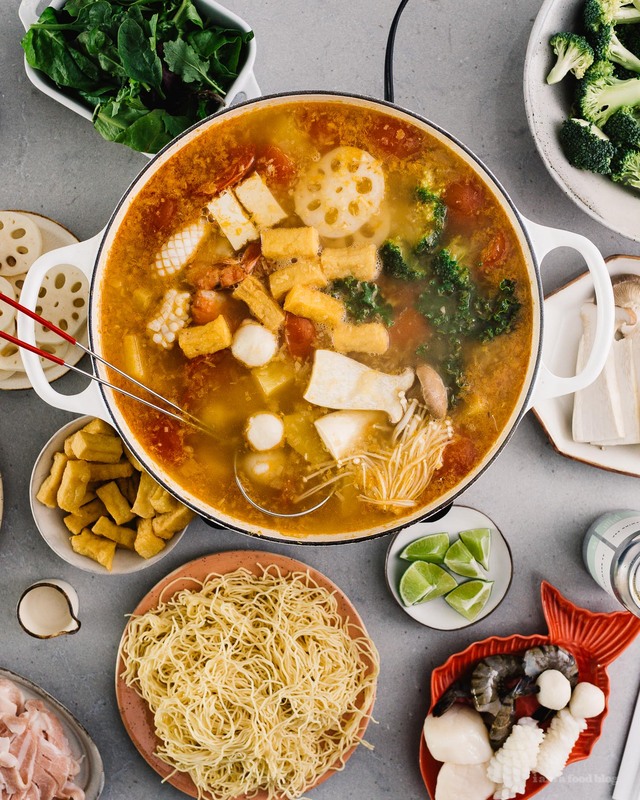 Sweet and Sour Vietnamese-Style Hot Pot– everyone can cozy up at the dinner table and cook loads of veggies and lean proteins. 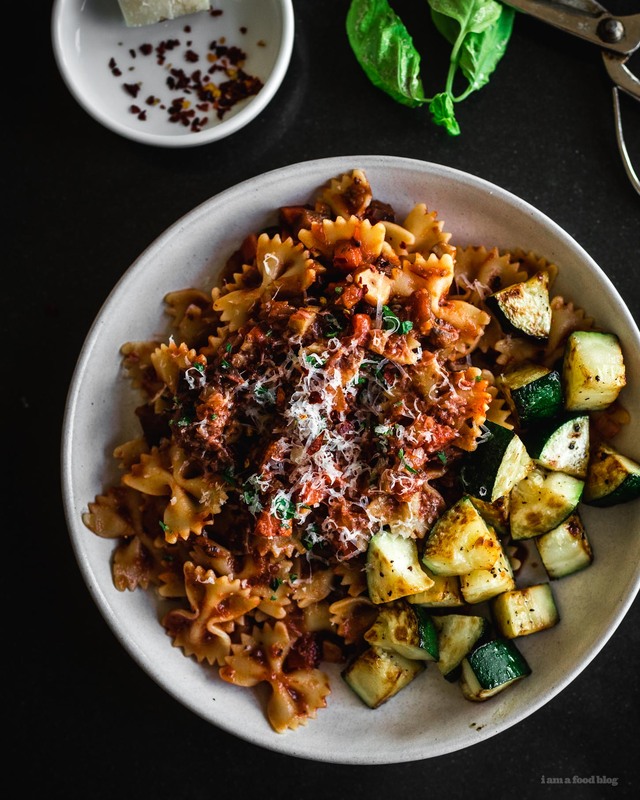 If you skip out on the noodles, it can even be carb free. Pro tip, if you noodle-y like things but don’t want the carbs, try shiritaki noodles. They’re made out of konjac yam and they’re practically zero calories, so if you’re looking for a noodle alternative, give them a try. 2. 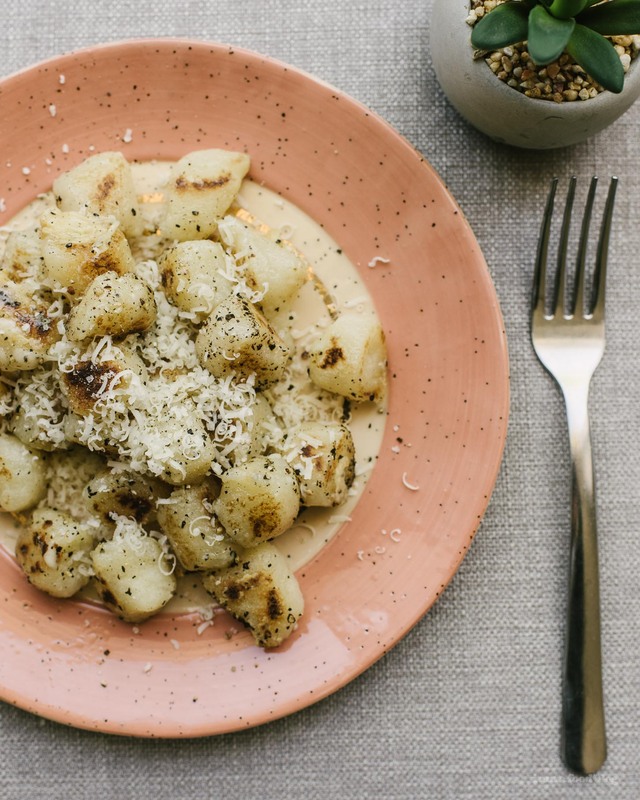 Cacio e Pepe Cauliflower Gnocchi – This is still my favorite way to have Trader Joe’s cauliflower gnocchi. Super simple to pan fry and toss with some parm and pepper. And the whole bag is only 330 calories! I mean, you’re gonna add some calories with the parm and butter, but it’s still pretty good. 3. 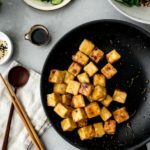 Crispy Pan-Fried Tofu – Give me ALL the tofu! 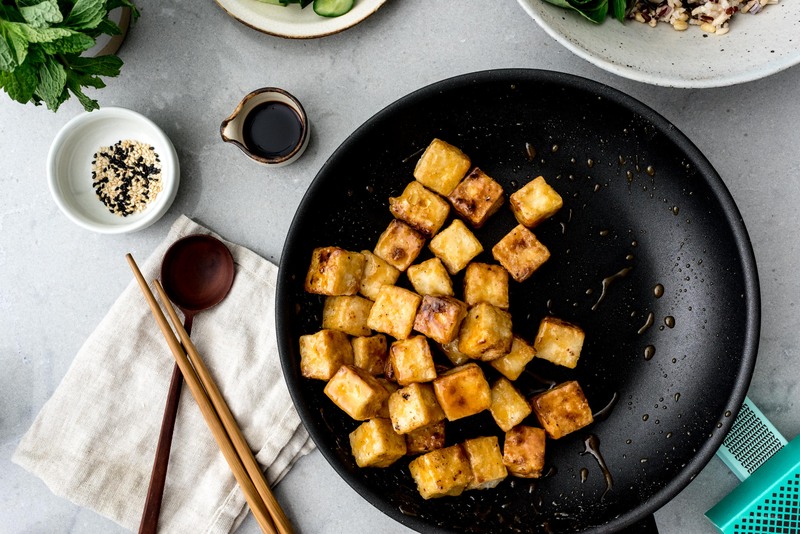 This doesn’t use a lot of oil and the result is super crispy on the outside, juicy on the inside tofu perfect for all those random salad/buddha bowls you’re going to be making this year. 5. 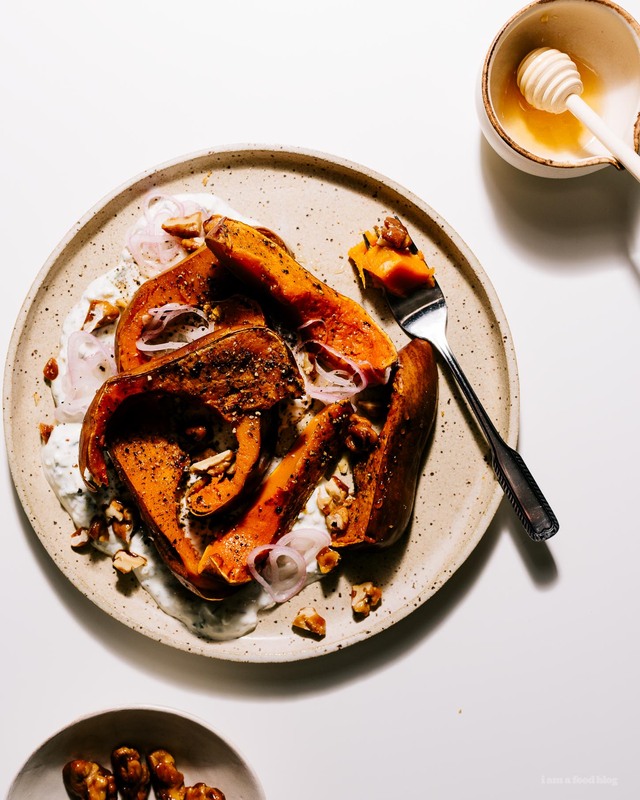 Oven Roasted Squash – Roasting squash makes it all sweet, tender, and delicious. I’ve been roasting all the things and I haven’t been regretting it. Naturally oven caramelized veggies are the best. 6. 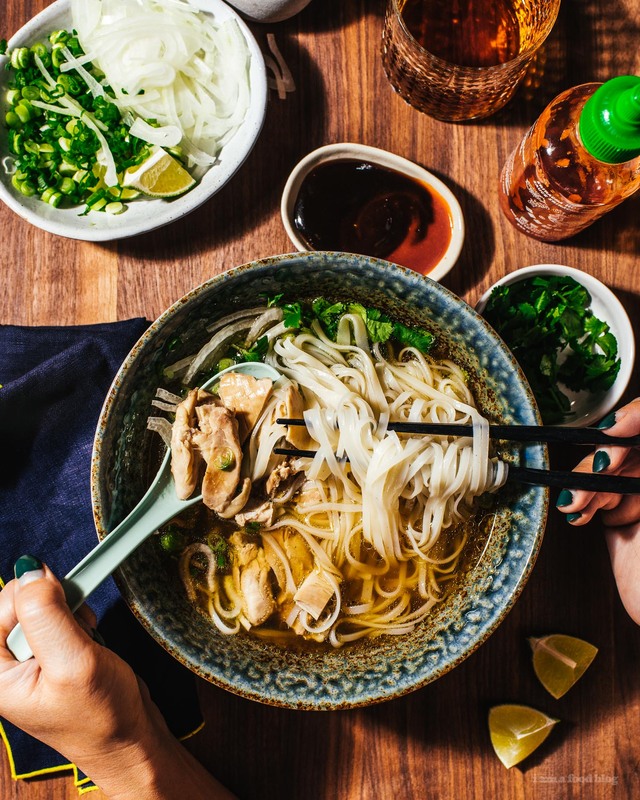 Vegan Instant Pot Pho – If you’re looking to cut out meat in 2019, give this vegan pho a try. 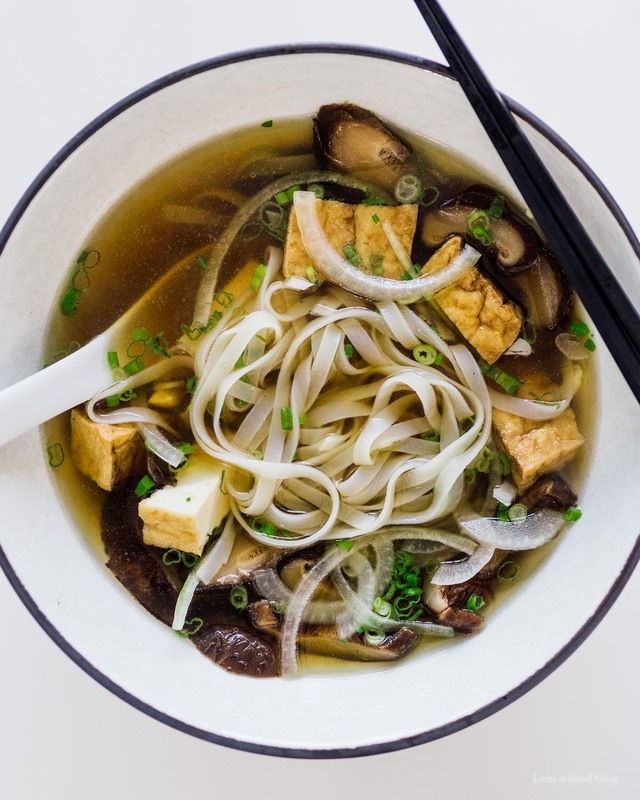 Super flavorful due to dried shiitake mushroom and extra hearty thanks to tofu. 7. Roasted Red Pepper Dip – Gotta have dips for all those veggies you’re going to be eating. 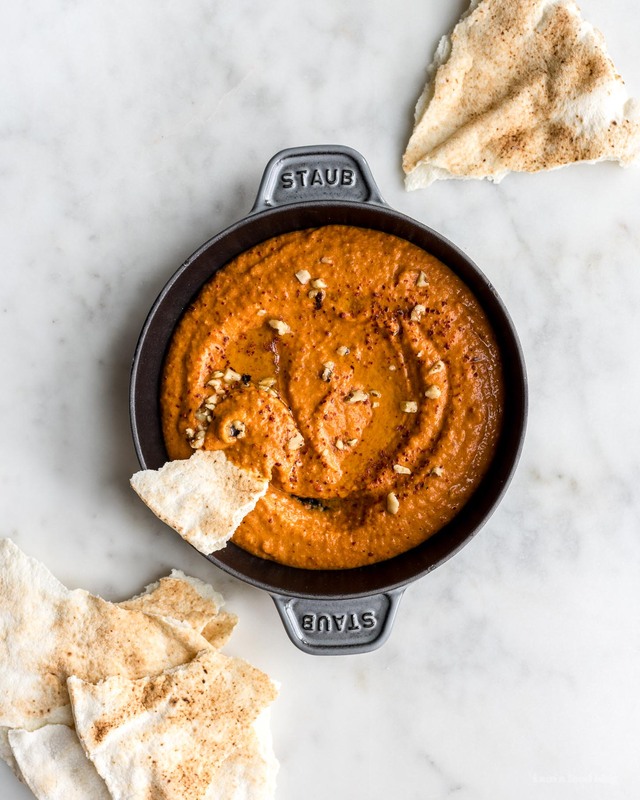 I love this smoky, savory, deeply flavored muhammara dip. It’s got walnuts in it for an extra boost of antioxidants. 8. 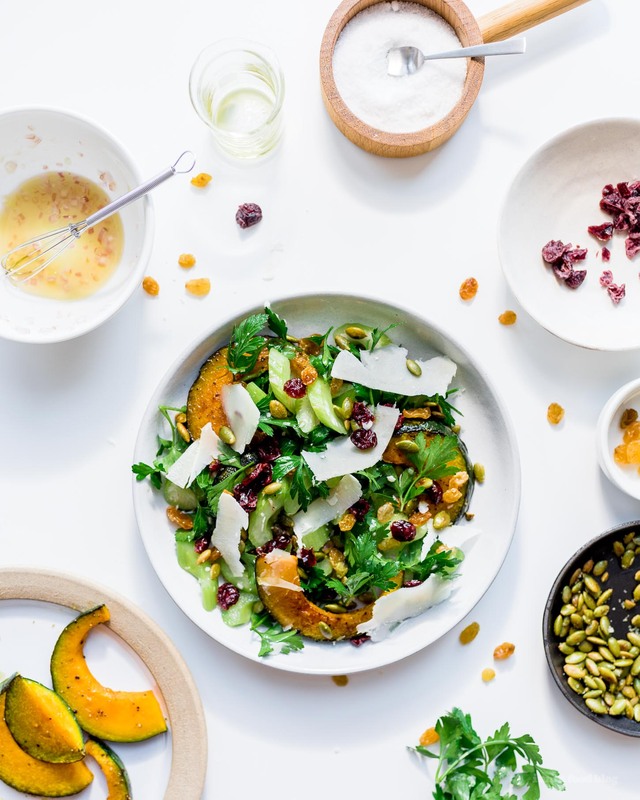 Kabocha Celery Salad – The sweet softness of roasted kabocha pairs wonderfully with crispy celery in this hearty salad. Golden raisins and craisins add sweetness and roasted pepitias add crunch. 10. 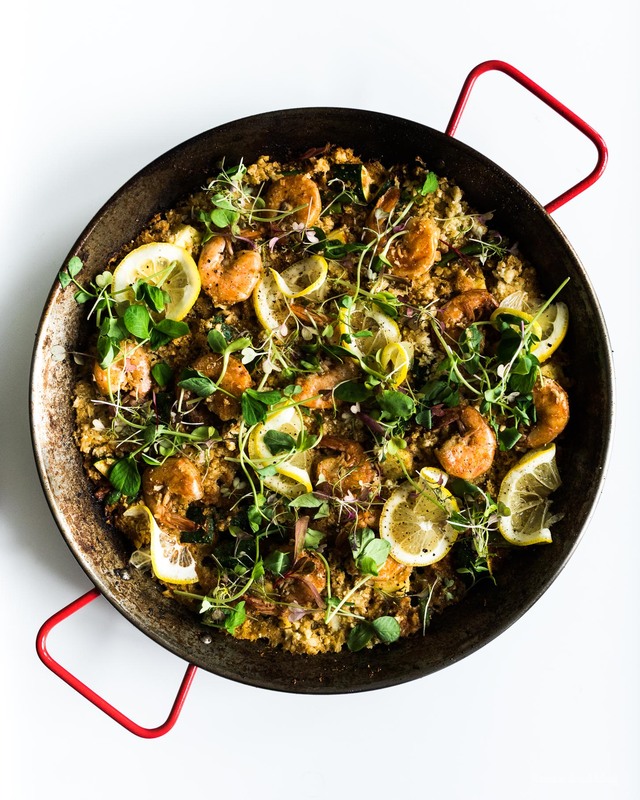 Cauliflower and Shrimp Paella – Skip out on the rice and sub in cauliflower in this take on paella. Light, flavorful and fresh! Yes, thank you please and TWICE! <- I'm pretty sure that is a full sentence when it comes to seeing food you want asap! Great Choices! Thank you for sharing!